The grand jury in Ferguson heard all the evidence and made the correct call. But don’t expect the cop-bashing to end anytime soon. 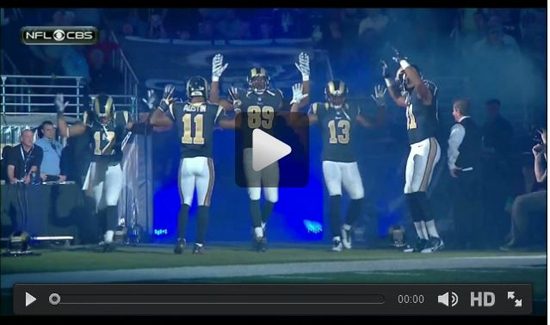 The latest insult to the nation’s police officers came during a recent NFL game where some players for the Rams appeared to be more interested in scoring political points than winning the game. But the St. Louis Police Officers Association isn’t suffering these fools gladly. “The St. Louis Police Officers Association is profoundly disappointed with the members of the St. Louis Rams football team who chose to ignore the mountains of evidence released from the St. Louis County Grand Jury this week and engage in a display that police officers around the nation found tasteless, offensive and inflammatory,” the SLPOA said.